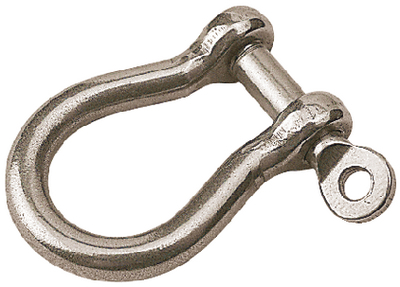 Captive Bow Shackle. Pin will not fall out when loosened. Forged 316 stainless.